Minister Mary Mitchell O'Connor at the Gender Equality in Higher Education Symposium. Iain White - Fennell Photography. Stating that inequality was discrimination, Mary Mitchell O’Connor, Minister of State with responsibility for higher education, said the lack of gender balance in top academic and leadership roles was no longer acceptable. Speaking at a gender symposium hosted by University College Dublin, Minister Mitchell O’Connor said she will “not accept the slow progress that has been happening” in the sector. “Gender-equality has been enshrined in our legislation for many, many years, and… [yet] even with this legislative backing, have we not yet achieved gender-equality? “Women professors range from a low of 12% in one institution to a high of 31% in another. How can there be this level of disparity? “Inequality is discrimination pure and simple… and this inequality cannot be attributed to the absence of skills, abilities or the aspirations of women. She added: “Higher education institutions have a responsibility to ensure that all of their staff have equality of opportunity. UCD Professor Judith Harford hosted the Irish Research Council-funded symposium, titled ‘Gender Equality in Higher Education: Ambitioning Change’, at the Royal Irish Academy. The academic of the UCD School of Education presented findings from her study of the perspectives of female professors working currently in Ireland. The study found while some progress had been made there, extensive barriers stilled existed for women in Irish academia. “The emergence of a culture of new managerialism, which valorises individualism, and competition, discounting collaboration and care commitments, was viewed by the majority as privileging male work practices,” she said. Echoing these sentiments, Professor Pat O’Connor, from the University of Limerick, found that across all Irish universities men have a roughly one-in-five chance of accessing a professorship, with little variation between universities, while women have a one-in-15 chance depending on the institution. 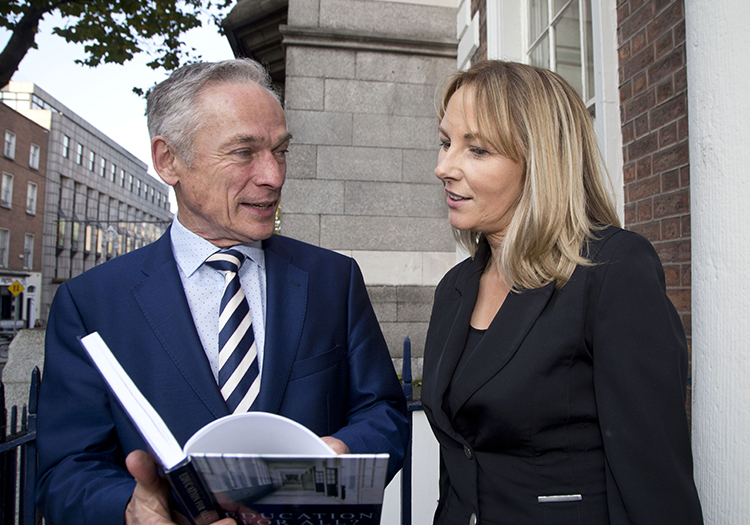 Following the conference, Education Minister Richard Bruton launched Professor Harford’s latest book, ‘Education for All? The Legacy of Free Post-Primary Education in Ireland’. Published by Peter Lang, the work examines the origins and impact of free post-primary education in Ireland over the last 50 years. “Professor Harford’s new book provides a unique insight into the legacy of free post- primary education in Ireland, the progress we have achieved and the work that still needs to be done,” said Minster Bruton.